Burgundy has a deep association with elegance and opulence, but it also has its roots within nature, as many flowers and plants bloom in this same color. Making some careful decisions of decoration with burgundy are able to create a cozy and intimate vibe. Burgundy has blue for cool or orange for warm undertones, but it’s best for you to stick to either one of them when you are decorating your kitchen. Burgundy is one perfect accent color for a kitchen. You can make one complete new look by just making few alterations in existing fixtures. 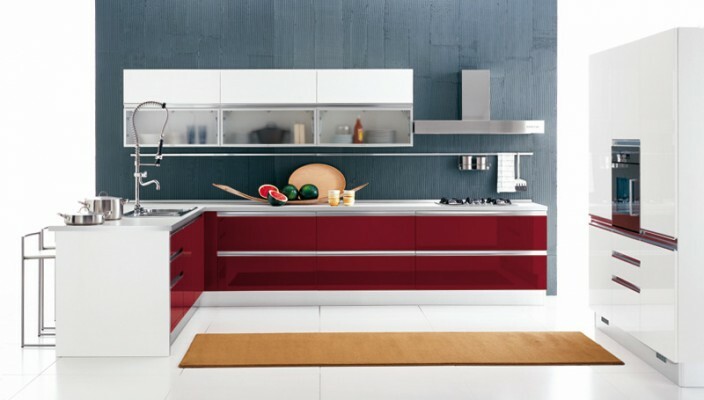 Paint island surfaces and wooden doors of cabinets’ burgundy. This will work best for cabinets with lighter wood. Think of replacing your kitchen’s floor or back splash with some patterned tiles, which feature burgundy as much as you choose. Few accessories in burgundy, such as fruit bowl, glass vase, teapot and roller blinds will tie a look together.